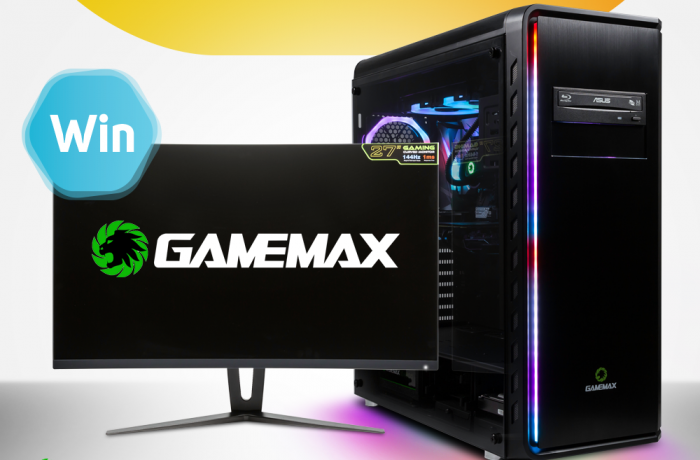 Scan has teamed up with GameMax to gift one of their fans with brand new hard-core gaming PC and monitor! To enter in this Game Max PC & Monitor Giveaway grab your free entries by following few simple steps listed down below! Brand new for 2018 Game Max have introduced the Game Max 27″ Full HD curved gaming monitor with a 144Hz refresh rate, 16: 9 Aspect ratio, 1800R curvature and free sync design. It is a premium curved gaming monitor priced for the average gamer. The monitor can handle 144Hz refresh rate which translates high frame rates into a level of smoothness and responsiveness appropriate for pro players and the most skilled. The Game Max monitor supports flicker free technology which utilises a DC (Direct Current) back light panel, reducing flickering light levels minimising eye strains and fatigue, meaning gamers are free to enjoy those long, intense gaming sessions in Comfort! A Built-in Speaker system and monitor along with DVI/HDMI/DP ports, Display Port can also transfer audio, USB and other forms of data. In line with the Game Max ethos this case offers style, performance and the ultimate experience.